Recycling might not make you look this good... but it doesn't hurt! 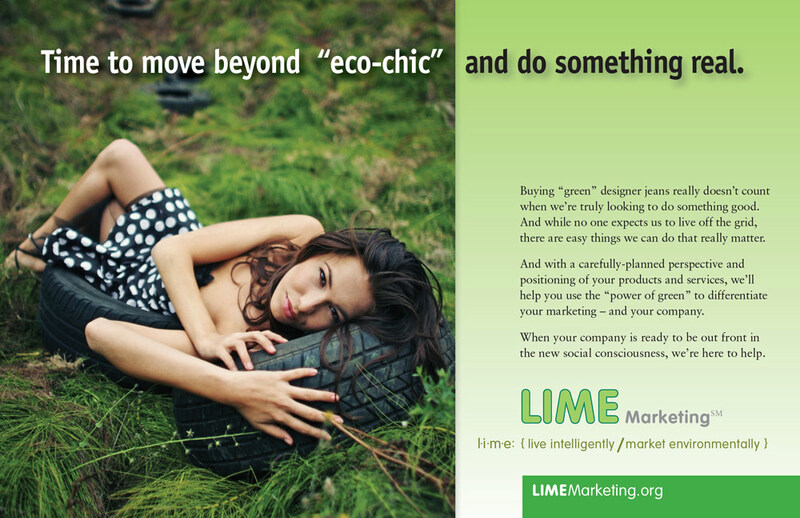 LIME Marketing is an effort by us, and a few of our compatriots, to focus on companies that want to market environmentally-friendly products and services. There were home builders, architects and engineering firms that has an interest in that approach so we put together some marketing materials to address that audience.